May is National Military Appreciation Month, a special month dedicated to recognizing the outstanding service of our veterans and active-duty members of the armed forces of the United States. In 1999, Senator John McCain introduced legislation assigning the month of May as National Military Appreciation Month. This is to make sure that the American people are given an opportunity to publicly show their appreciation for the U.S. military. Every year, the President makes a proclamation recalling the important roles played by the U.S. military in our country’s history and development. The month of May is chosen because it has a number of days that mark the achievements of our military. These include Loyalty Day (May 1), Victory in Europe Day (May 8) commemorating the end of World War II in 1945 in Europe, Children of Fallen Patriots Day (May 13), and the death anniversary of Osama bin Laden, the global terrorist leader killed by the U.S. military in Pakistan on May 2, 2011. As the nation celebrates National Military Appreciation Month, do you want to be part of something big that can make a difference in the lives of our veterans? If yes, you can conveniently do so without spending a single dime by simply participating in our car donations program. A car donated to us at Veteran Car Donations will enable essential services to be delivered to our veterans and their families who are facing hard times. You can donate any type of vehicle in whatever condition—old or not so old and running or not running. You can donate anywhere in the United States since we have car donation programs in all 50 states. 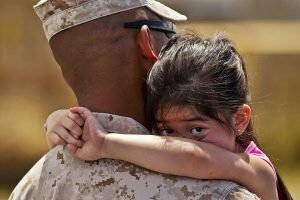 Why Donate a Car to Veterans? Little do people know that when our troops return from deployment, they face a new set of problems—transition to civilian life. Because of lack of preparation, they often end up being jobless, impoverished, and homeless, with some taking to alcohol and illicit drugs to cope with their situation. Life is even bleaker for those who came home with permanent disabilities due to serious injuries suffered on the battlefield and those with untreated mental illnesses such as Post-Traumatic Stress Disorder, Traumatic Brain Injury, depression, social anxiety, and others. Wracked with pain and mental anguish, some have taken the extreme measure of taking their own lives. Clearly, this is not what we want for our veterans. They have risked their lives and made enormous sacrifices in serving our country and people, enabling us to continue enjoying our freedom and security, and this is what they get? It’s not acceptable by any means. We have to do something about it. One thing you can do is to donate a car to a charity like us. We assure you that your car donation will play a significant role in the successful transition of our veterans to civilian life, improving their living condition and giving them hope for a brighter, happier, and more productive future. If you want to get started with your car donation, just contact us at 877-594-5822 or fill out our online donation form. As our token of gratitude for your generosity, you’ll receive a set of rewards for your car donation including free towing services, no paperwork, and maximum tax deductions. What are you waiting for? 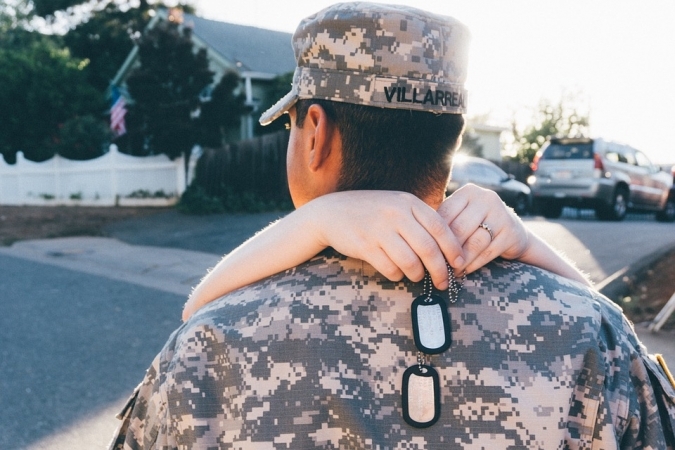 Join the nation in celebrating National Military Appreciation Month by donating a car to help our struggling veterans. Donate now!